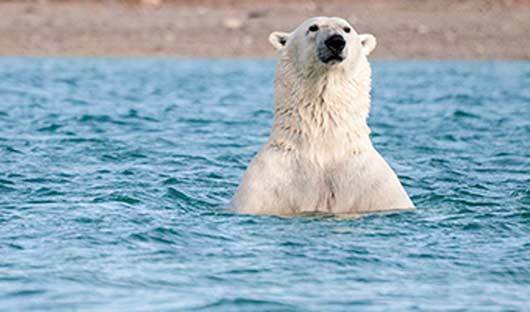 AECO (Association of Arctic Expedition Cruise Operators) regulations control the frequency, duration and number of guests visiting any Arctic site. No more than 100 guests can land at one site at the same time. 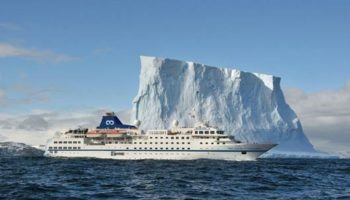 As a result of the AECO regulations some larger ships will spend less time ashore or visit fewer sites (than smaller ships with fewer than 120 guests) – largely as a result of taking longer to allow all clients to go ashore. If your chosen ship has a larger number of guests wishing to go ashore at the same site the reality is that some guests will be waiting on-board. That said some operators run a dual operation; Zodiac cruise for some clients whilst other clients go ashore. You then swap – zodiac cruisers go ashore and vice versa. Arctic Travel Centre is a proud member of AECO. The ships and their operators are well known by us and we know they will safely deliver a high quality operation. For the safety of guests, crew and the environment, all vessels have two engines (or in the case of Ocean Nova an auxiliary engine that can bring the ship back to port). 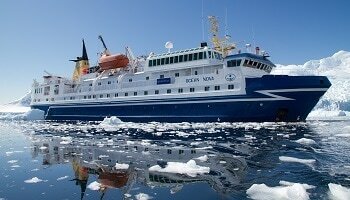 All ships are AECO members (as is the Arctic Travel Centre). All operate with a high ratio of crew to guest. 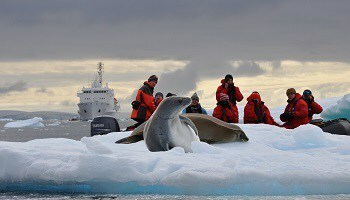 What do we mean by a ‘small ship’, in simple terms a ship that can land all of its passengers at one time (you do not have to wait), which in Antarctica this means those with a maximum of 120 guests. 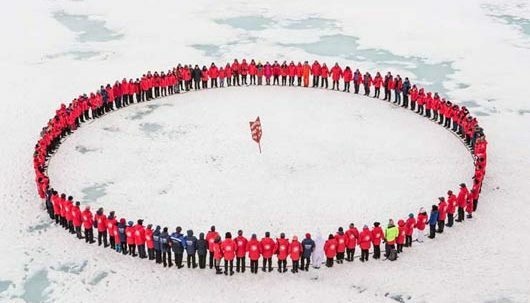 The Association of Arctic Expedition Cruise Operators (AECO), to which all reputable Arctic operators belong, set out a number of rules, one of the most important is that there can be no more than 100 passengers ashore at anyone one time (Expedition guides are additional and there must be a ratio of at least 20:1). Most ships offer kayaking options for 16-20 guests, as they are not going ashore they are not included in the 100 passenger total; hence ships with up to 120 total guests fit into this ‘small ship’ category. 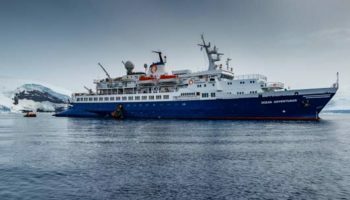 The Greg Mortimer is a new (maiden voyage in 2019), purpose built, Polar expedition vessel designed in close consultation with Antarctic expedition specialists and is the first expedition cruise ship designed with the ULSTEIN X-BOW hull. This cutting edge nautical technology allows for: gentle travel and motion at sea, improved comfort and safety on-board, reduced vibrations, lower fuel consumption, lower air emissions and ‘virtual anchoring’ which means the ship can float anchorless while launching the Zodiacs without disturbing delicate sea floor areas. 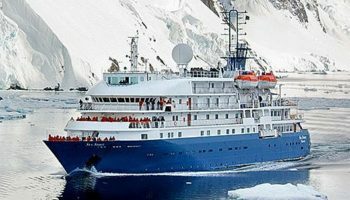 The Ocean Nova is a small expedition ship that was built in Denmark in 1992 to sail the ice-choked waters of Greenland, and the ice-strengthened hull is ideally suited for expedition travel in Antarctica. Refurbished in 2006, it has a capacity of just 68 passengers accommodated in comfortable has a glass-enclosed observation lounge. 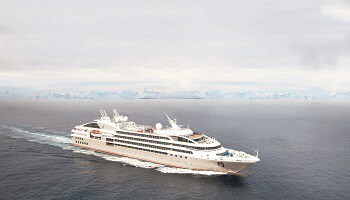 The new and improved Ocean Adventurer is designed to carry 132 travellers in comfort. Originally built in Yugoslavia in 1976, she is ice-strengthened and had a major refurbishment in 2017. 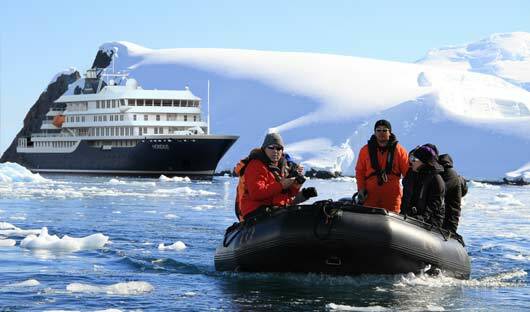 The Ocean Adventurer was formerly known as the Sea Adventurer and has a range of cabins and suites. 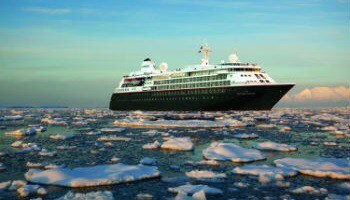 The Hebridean Sky has the capacity for 114 guests and recently underwent a ten million dollar refit and boasts a high degree of comfort and safety. Always known for its effortless elegance, impeccable service and atmosphere of charm and camaraderie. 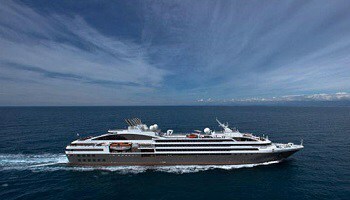 Its all suite cabins and increased adventure options make the Hebridean Sky the perfect blend of luxury and adventurous exploration. These ships cannot land all of their guests at one time, some of the guests will have to wait before they can go ashore. That said they only have 30-48 more guests to take ashore, including any kayakers. 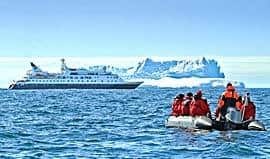 Often ships of this size will also offer a ‘zodiac cruise’ either as an alternative to, or prior to, going ashore. This means you don’t necessarily have to wait on the ship; you may have a choice to go ashore, to enjoy a zodiac cruise or both. Of course if all 150 guests wish to go ashore it will take more time to allow everyone to do so. This will effect either; the number of sites you visit or the total time you spend at each site. 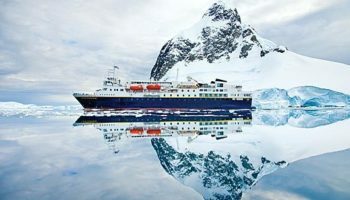 Made for exploration, the National Geographic Endurance is outfitted with kayaks and a fleet of Zodiac landing crafts, underwater cameras, video microscopes to explain elements of the surrounding environments, a hydrophone to listen to the vocalisations of marine mammals, an open bridge to constantly talk to your caption and expedition crew and snorkeling gear and wet suits for underwater excursions. 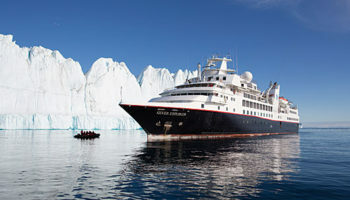 The RCGS Resolute (formerly the MS Hanseatic) is a modern, ice-strengthened Arctic cruise ship with all en-suite cabins accommodating up to 146 guests. Purpose built for polar waters in Rauma Finland. The Resolute has the highest ice class rating (Lloyds 1AS). 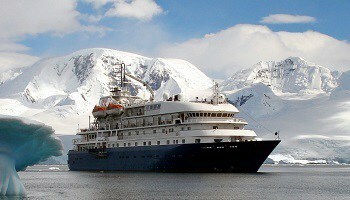 She combines first class accommodation, excellent cuisine (dinner is a la carte) with a true expedition experience. 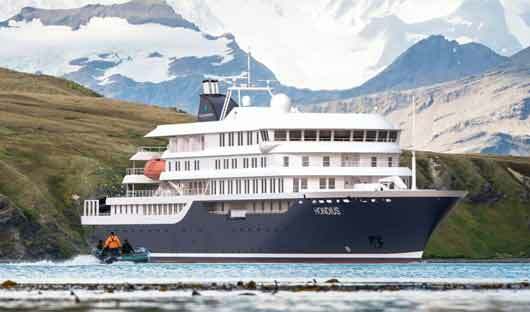 Embark on a luxurious cruise aboard the Silver Explorer (formerly the Prince Albert II) — a purpose-built expedition ship with 144 guests and the intimate on-board ambience of a private yacht. Designed specifically for navigating waters in some of the world’s most remote destinations. 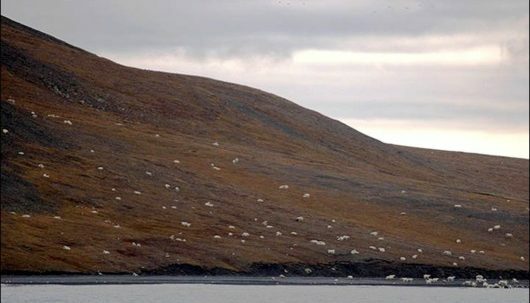 Whilst in ‘cruising’ terms a ship with less than 240 guests would normally be considered small, in the Arctic those with 150-240 are considered large as they cannot land all of their guests at one time. 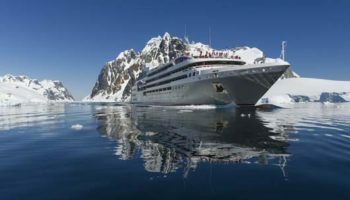 If all guests wish to go ashore then it is likely that compared to a 100 passenger ship these vessels will either visit fewer sites in a day, or spend less time ashore at any sites visited. 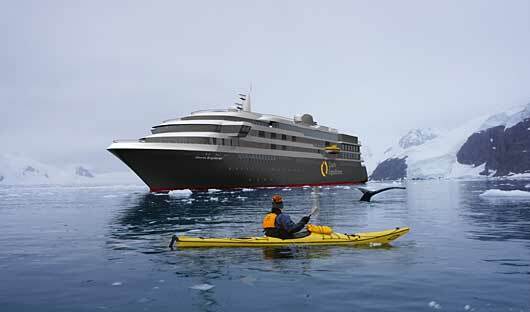 Some Expedition/Luxury category ships may run simultaneous zodiac cruises and landings and then offer clients the chance to swap. Many Luxury ships with 200 or more guests make one landing per day. 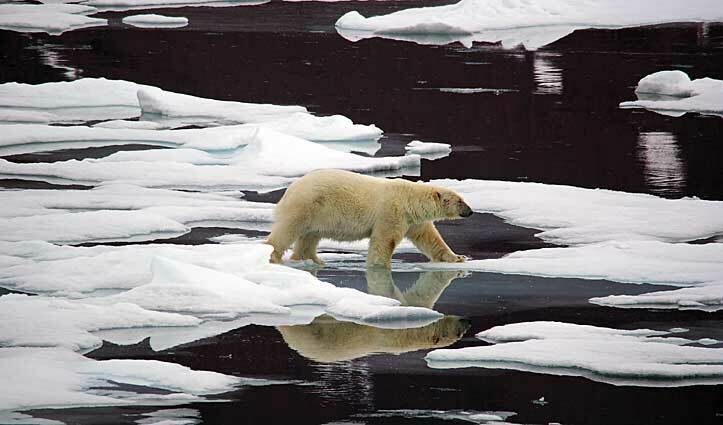 It is in part why the onboard part of a luxury Arctic cruise is of greater importance; as you spend more time on the ship. 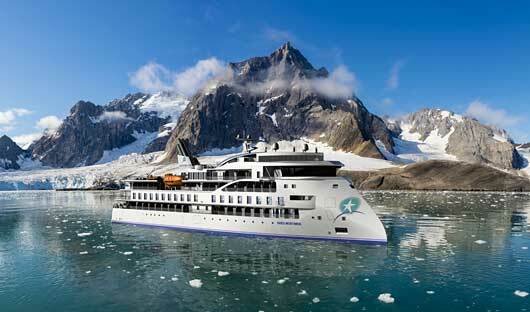 The World Explorer is a brand new ship, built 2018, and is fully equipped to venture into the waters of Antarctica. Taking 176 guests every cabin has either a private walk-out balcony or a Juliet balcony for direct ocean views as well as en-suite bathroom. There are plenty of public areas to relax after a day filled with excursions including the glass domed observation lounge, the explorer lounge and a dedicated lecture theatre where the educational program is conducted. There are health and wellness facilities featuring an outdoor running track, small gym, sauna and spa. All other ships on this site have ‘ice-strengthened hulls, Icebreakers are another thing all together. 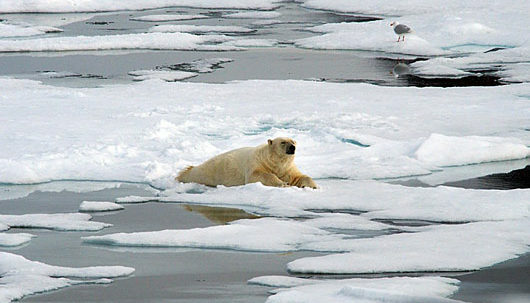 There are only a small number of Icebreaker ships capable of making it to the North Pole. They need significant power as well as a specially designed hull to literally smash there way through multi-year sea ice. The 50 Years of Victory has been designed with a double hull and a spoon-shaped bow. 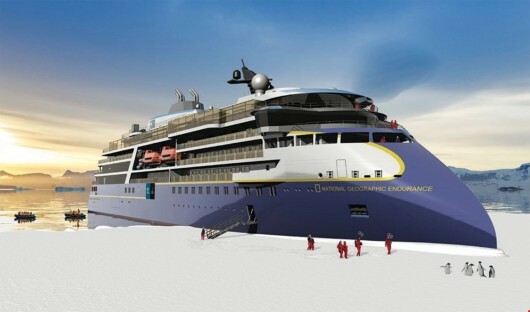 The icebreaking is assisted by the air bubbling system and water ballast located in between the inner and outer hulls. The air bubbling system can deliver 24m³/s of water from jets to 9m under the surface. The vessel can break ice while sailing forward or backward. 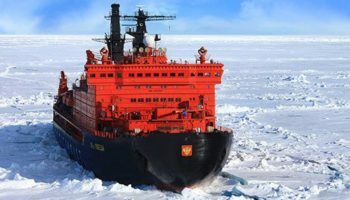 The 50 Years of Victory is the largest and most modern and powerful nuclear-powered icebreaker in the world. The “Victory” is a new (launched in 1993) generation ship, an upgrade of the Arktika-class. 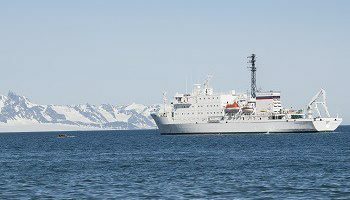 She offers voyages to the North Pole and Franz Josef Land. 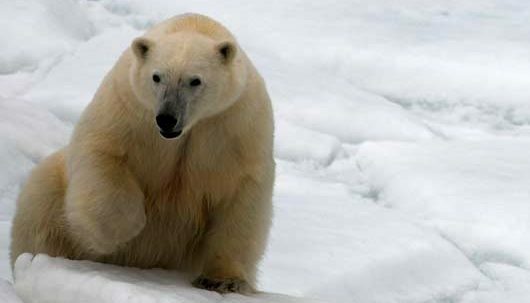 She is very safe and has been taking guests to the top of the world since 2008. To discuss ship options please get in touch and one of our friendly consultants will go through everything with you. 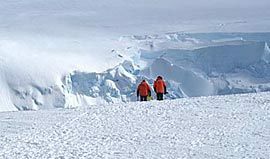 Antarctica is a fascinating, remote place. Our brochure is intended to be a starting point to help you decide which cruise would suit you.